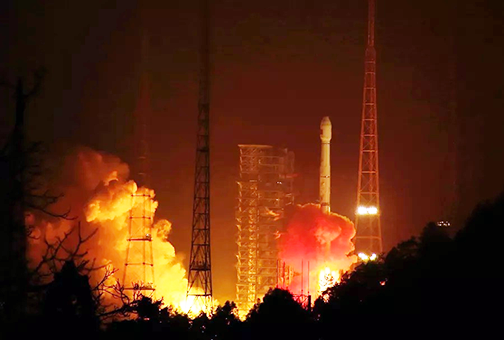 Andrew Jones, the Senior Editor at gbTimes, posted a story that reveals China aims to add another seven satellites to the nation's Beidou navigation and positioning system this year, according to the China Satellite Navigation Office (CNSO), with the aim of completing the 35-satellite network in the first half of 2020. China has launched 11 Beidou satellites so far in 2018, contributing to an unprecedented launch cadence, and CNSO director Ran Chengqi recently told state media seven more would follow before the end of November. The latest launch, at the end of August, saw the 35th and 36th Beidou satellites enter orbit, following the launch of the first in 2000. A Long March 3B rocket launches the 26th and 27th Beidou satellites from the Xichang Satellite Launch Centre on January 12, 2018. Photo is courtesy of Xinhua. The next launch is currently understood to be taking place around September 19 from the Xichang Satellite Launch Centre in the southwestern province of Sichuan, though the first firm indication of imminent launch may come from airspace closure notices. The completed Beidou system will have 27 satellites in MEO at around 22,000 km altitude, five in geostationary orbit and three more in inclined geosynchronous orbits, at 35,786 km, providing global GNSS coverage with a positioning accuracy of 2.5 meters. 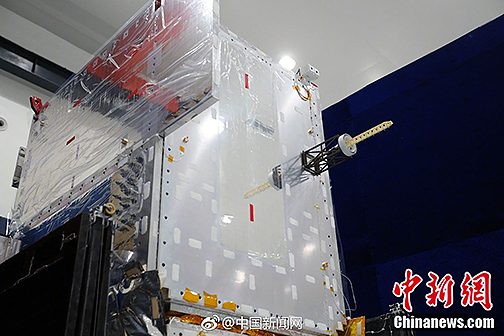 Photo of a Beidou-3 positioning and navigation satellite being prepared for launch. Image is courtesy of CNS. It is being tied to the Belt and Road initiative, a signature project of Chinese president Xi Jinping, which includes a somewhat nebulous constellation of countries. The Beidou navigation system is China's answer to the U.S. Global Positioning System (GPS), Russia's GLONASS and Europe's Galileo GNSS constellations. Xinhua last week reported that the industry associated with China's BeiDou navigation system has grown at over 20 percent year-on-year since 2009, and is expected to reach 400 billion yuan ($58.5 billion) by 2020.